"Maker and Monger" A night of Pairing and Tasting. Join us for a night celebrating the joys, tastes, matchings and stories of Cheese and Cheesemaking. 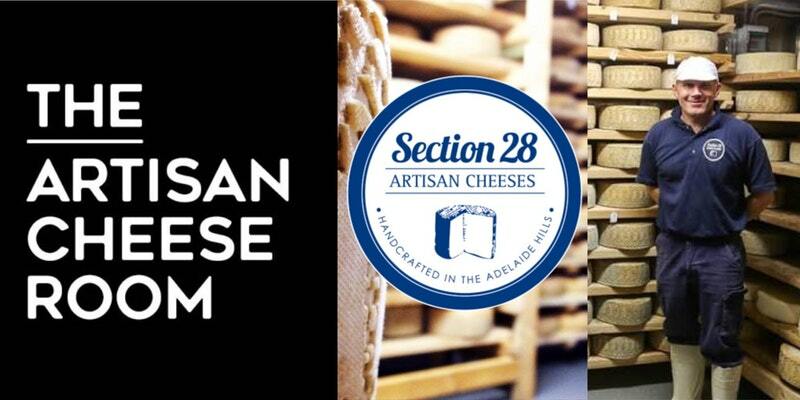 We're delighted to be hosting award winning Cheesemaker Kym Master who runs Section 28 Artisan Cheeses in the Adelaide Hills who will be coming along to share his cheeses - which have been carefully matched with a selection of drinks. Section 28 recently won the top awards at the 2018 Australian Grand Dairy Awards for his Semi Hard (Monforte) and Flavoured (Monte Diavolo) cheeses - a feat which is made even more remarkable as Kym only started the company 3 years ago! Kym will be sharing his passion and stories of the joys (and perhaps the odd challenge) of what it's like to be a Cheesemaker in Australia. Come along to hear all about his journey, his passion, his lifestyle and of course, his cheeses - which will be enjoyed with a carefully matched selection of Beer, Cider, Wine and even Saké!